Minecraft is a popular computer game in which gamers can realize their most incredible architectural fantasies. It is possible to install special mods to diversify the game. However, if too many mods are used, the game may stop running and you will have to reinstall it. 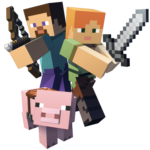 If you are looking for a guide on how to delete and reinstall Minecraft or how to completely uninstall Minecraft, you are on the right page. How to delete Minecraft manually. Deleting Minecraft with one click. 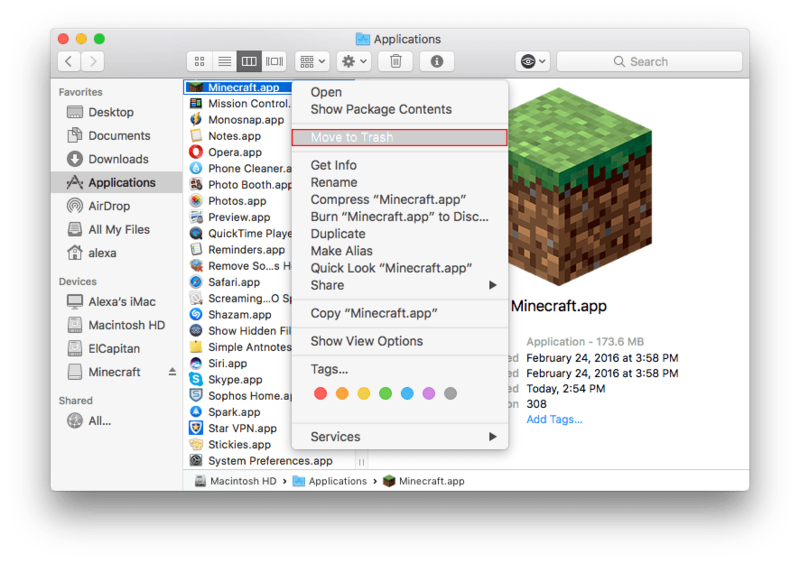 First, you need to delete Minecraft the regular way – find the game in the Application Folder and move it to Trash with a context menu. Then open the Minecraft folder, which contains all the game files: caches, preferences, logins, and other support items. They are stored in Library folder. Go to Menu Bar → click Go → select Go to Folder → type ~/Library in a search field. Check the next subfolders for the Minecraft leftovers and remove them all. 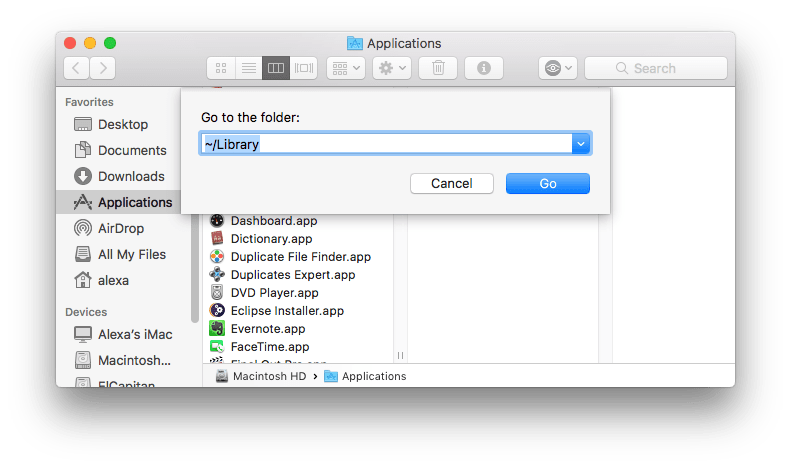 The removal method described above is a complete uninstalling procedure for any application on Mac. You might agree that it’s quite inconvenient when you need to uninstall apps often. That’s why we are going to share a quicker way to complete the uninstall process – via a special tool App Cleaner & Uninstaller Pro. 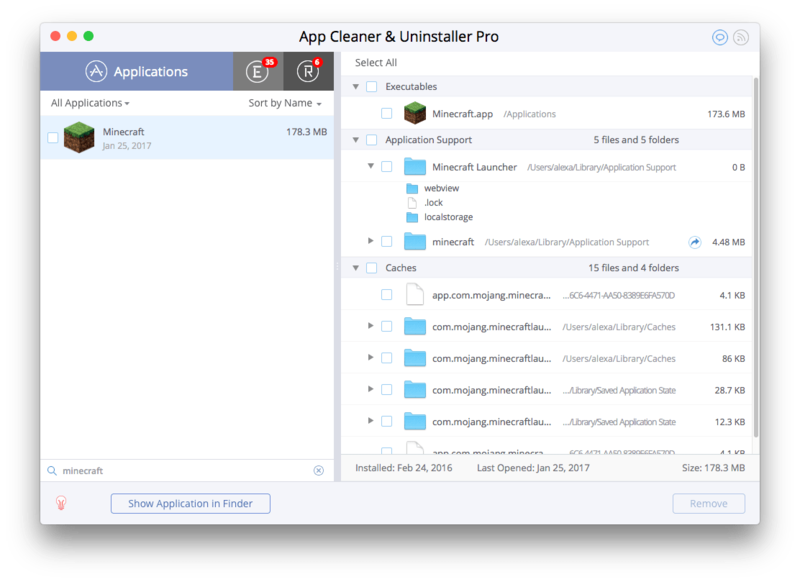 App Cleaner & Uninstaller Pro allows you to remove Minecraft or any other software completely in the fastest and easiest way. All you need do is to scan your Application folder with the app, select all files related to Minecraft and click Remove. The app allows you to remove all service files with the executable items. You can uninstall apps with just several clicks.